Thank you Cat from Let the Pages Reign for letting me borrow your ARC! 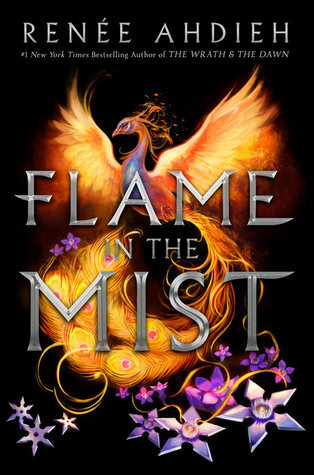 I have some conflicting thoughts about Flame in the Mist, and will try to write out my review from someone who is ignoring hype for this book, but also as a reader who has previously loved Ahdieh’s previous duology, The Wrath and the Dawn. 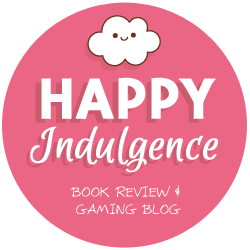 Although set in another setting, there are some similarities between the books that I can’t help but notice, that might have detracted from my reading. I would say that what people found tiring in Ahdieh’s previous books – perhaps the distracting descriptions of minuscule topics, the flare for the dramatics, or even a complaint in the romance – will probably be repeated in this book as well. Ultimately, I enjoyed reading this book, but it won’t be one that I’m shouting my love about. – Before even beginning the book, I was a bit disappointed at people selling this book as a “Mulan retelling,” stemmed by publicity factors and the fact that the main character, Mariko, does have a scene reminiscent to Mulan (the movie, not the actual poem). Let me give you guys another reason to read this book: immersive Japanese culture, tantalizing descriptions of architecture and food, and the love of loyalty and family that makes an inventive girl forge her path. There, that was much more comfortable. See, this publicity doesn’t realize is that having the selling point of this Japanese-inspired story with a Chinese legend (Hua Mulan) will create confusion or inaccurate thoughts between these two countries to some readers. While both are stunning cultures full of history and perhaps similarities, they’re also incredibly different and historically antagonistic with each other. And I’m pretty sure that some readers out there will lump those two cultures together because of the way they marketed this. So, yeah, I’d rather people advertise this as an incredible journey of a Japanese girl finding herself than an incredible story with hints of Mulan. – It had such a strong and solid beginning, full of intrigue and terrifying situations that Mariko had to think through, but fell into the heavy repetitiveness that fantasies often carry out. Basically, Mariko goes undercover as a boy in the Black Clan to discover why they supposedly wanted to kill her. This way, she can go on her own adventure without the scandal that her coming out of the forest after an attempted assassination attempt would create. While Mariko was strong at times, always tenacious in having courage and the idea of “honor,” her vacillation between helping out her new friends and carrying out revenge for herself and her family became redundant quite soon. This didn’t help with the advent of the romance. – The enemies-to-lovers trope makes an appearance in this story, much like the author’s previous duology. In fact, there were lots of familiar themes going on in regards to romance. Mariko’s vacillation stems towards the love interest, Ōkami, as well as the other men of the Black Clan who slowly create a place where she feels as if she finally belongs. “And a part of her couldn’t help but think – were he another boy, in another time, in another place – Mariko would have liked to hear Ōkami’s laughter. Would have enjoyed being the cause of it. While I’m happy to share that the romance was not the only contributing factor for Mariko’s vacillation, the back-and-forth of her loyalty between her brother Kenshin, who is trying to find her, and the Black Clan, who do surprisingly good deeds like redistribute the wealth of people in poverty, dragged the book in the middle areas. Other than that, I never really felt a connection to Ōkami, who is full of secrets the whole time throughout the book. He was mean in those gruff, “I’m-acting-like-this-so-you-can-get-better” sort of way, but unfortunately I never really got on board with the ship as much as I wanted to. Sure, it seems like both Mariko and Ōkami find solace with the other in the midst of all the secrets and half-truths being thrown around, but I do think that things happened way too quick, or at least without rationale, in some areas of their newfound love. – One other thing I’d like to address is that a personal pet peeve of mine in stories is having a foundation of miscommunication and making capricious actions due to the wrong idea. 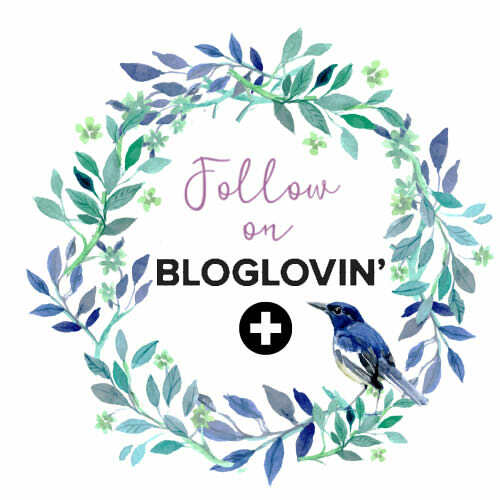 I feel like that kind of foundation can be unraveled quite quickly, and the frustrations that a reader goes through while lamenting, “If only y’all just sat down and had a meeting to figure out what ACTUALLY happened” could spare a bunch of time, energy, and pages. However, it does leave for an intriguing storyline with characters making dramatic decisions that will leave readers gasping. – The “magic” in this book honestly left me confused and feeling like I’m missing something, but I also can’t wait to see it explored more. So I guess this particular point could go in the middle. – There is a nice, empowering message Ahdieh shared for women. This in part is due to Mariko’s curious personality asking, “Why can a man do this, or get away with this, but a woman cannot?” and using this question as the basis of her dressing up as man. However, I also liked the fact that the author also explored the strength that a woman such as a geiko, or female entertainer, can have. Strength to all women! – Ahdieh writes the Japanese setting with gorgeous descriptions that just immerse readers into the new pages. Add to that the fun dialogue and you get a story that you can’t help but keep reading. Mariko’s curiosity stirs up conversations about the meaning of honor, how much one a thief can have, and the value of lies in certain situations. I always enjoyed these bits of conversations because it really shaped a character – like Ranmaru’s friendly and laid-back charm – and strengthened relationships – like Ōkami and Mariko’s trust despite having hidden secrets. – The brother/sister bond between Mariko and Kenshin was lovely to see, as each sibling provides a foil to the other with different traits to appreciate, although I might have enjoyed more page time. Seriously, it’s the miscommunication thing! – I actually really enjoyed the story behind the story that takes place with Mariko currently. Ten years ago, three men were once good friends. One of them convinced the other to betray the third, and when the other tried to do things to repent, the first friend betrayed him as well. The story follows the actions and ideals of the sons of these men, these samurai, and how their past forged them to become the way they are. I would easily recommend this book for fantasy readers on the lookout for an immersive setting of a culture that is not readily explored in Young Adult literature. Readers that did not enjoy The Wrath and the Dawn may see parallels in this story that probably would not go with their tastes, though. I actually did really enjoy this story and the way the storyline is shaping, with added magical elements that will no doubt have more of an appearance in the sequel. This rating reflects more of my high expectations more than anything. It’s my pleasure Tasya! ❤ I hope you like it a lot more after lowering your expectations. I loved the Japanese settings and descriptions, and the feminist aspects were awesome. I enjoyed this book a lot, but I’m sorry it didn’t live up to your expectations 🙂 Fabulous review! Thanks for sharing your thoughts! Hello! I totally agree with your review! I liked this book, but it wasn’t fantastic. I personally preferred Renee’s The Wrath and the Dawn. Mariko felt a bit flat for me and the book was a bit slow in the beginning! Hi Yomna! I’m glad you agree with me. 🙂 I guess I just had too high of expectations for this one. Hopefully the sequel will pick up! Aw man Zoe, I hope you still like it when you pick it up! Nevertheless, I’ll definitely be continuing with the sequel.